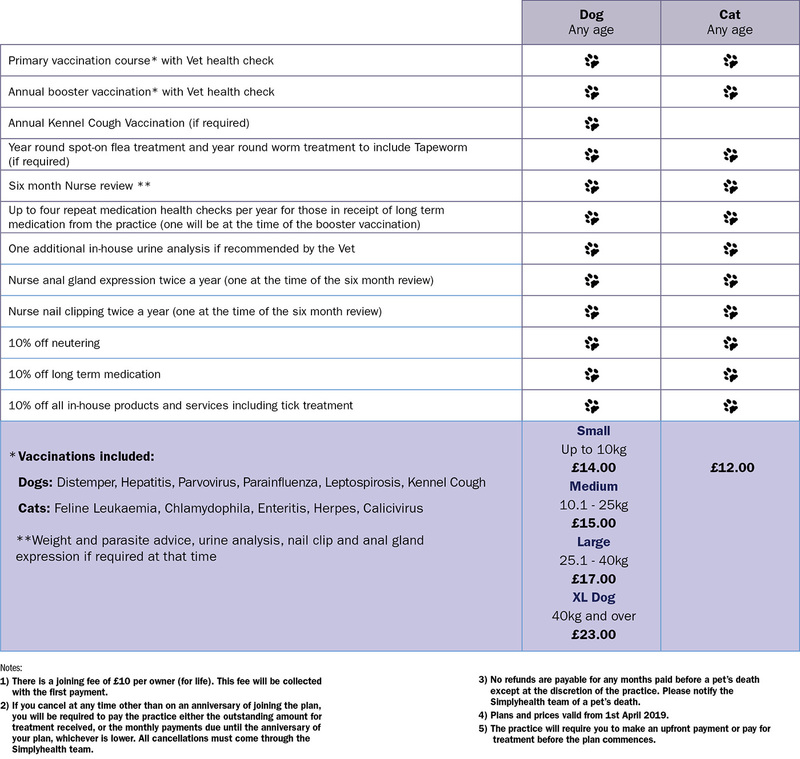 Bush House Veterinary Group Health Plans provide you with a simple, money saving way to give your cat or dog the regular preventative treatments he or she needs, all for a monthly Direct Debit payment. You can download our Health Plan brochure by clicking here. You will be sent a welcome letter, in which you will find a copy of your full Agreement details. You have 14 days to cancel should you want to. Bush House Veterinary Group reserve the right to invoice for products and discounts already dispensed. Pet health plans are administered on behalf on the practice by Simplyhealth.